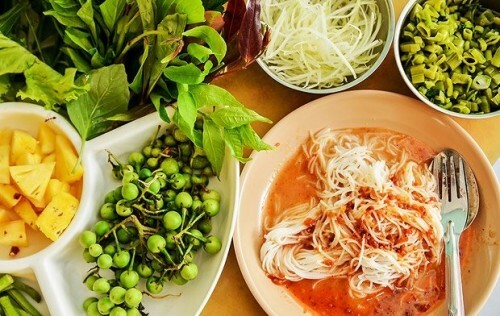 Phuket has a unique cuisine and both its entrées and desserts are a combination of local and Chinese cooking styles. International visitors should not miss the opportunity to sample the mouth-watering and unique offerings of Phukets kitchens. 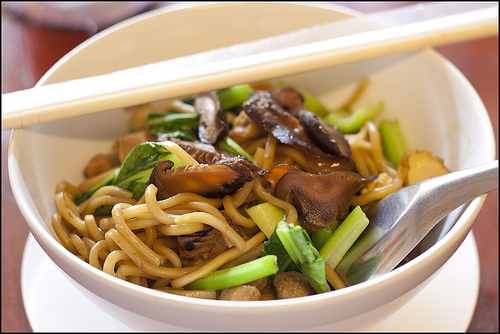 We have the inside track on toothsome dishes which will tempt your taste buds. 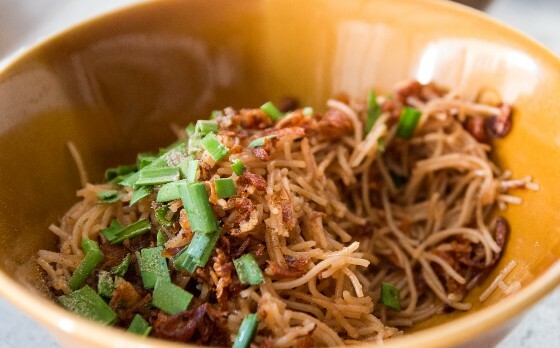 Phuket's breakfast noodles with salty taste and white color when uncooked, are boiled and flavoured with oriental spices. 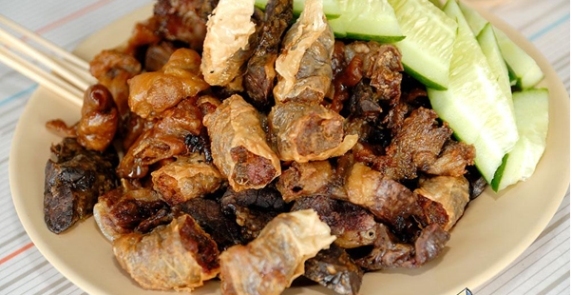 They can be served with sliced pork or chicken and accompanied by boiled rice or rice soup. Kuo Kwan Restaurant, (located on Phuket Road near Robinson's department store), is rightly famous for this simple but tasty dish. 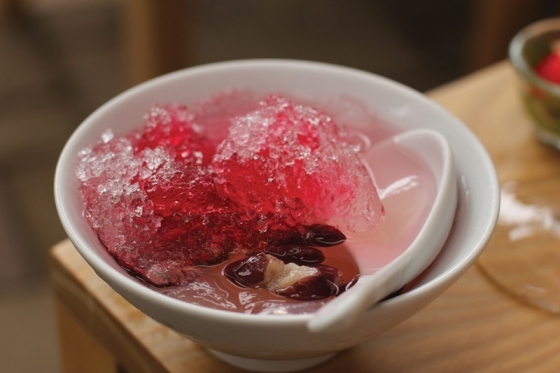 An unbeatable, Phuket dessert which is made from jellied banana-flour mixed with boiled red bean, ice, and sweet red syrup. There original Oh Aew caterers can be found on Yaowarat Intersection and one can be found at the area of beginning of Loh Rong Soi. 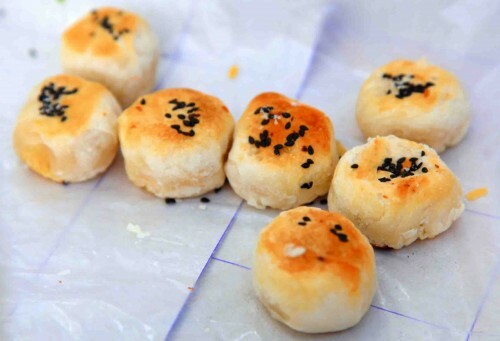 Are a tantalising group of small dishes which can be eaten at any time of the day. The Dim Sum is a steamed dumpling, filled with every imaginable choice of sweet or savoury filling, and served with Chinese herb chicken soup and condiments. Visit Boonyarat Restaurant for the best. They have branches at the vegetable market, the main bus terminal and again near Dao Rung School on Chao Fa Road. Also known as Hoi Tod Hokgian, is a fried oyster dish prepared with eggs, flour, bean sprouts and taro root - a favourite Phuket snack. Look for it at Oh Tao Wongwian Restaurant, located near the Clock Tower Circle, Phuket Road, or at the Oh Tao Restaurant next to Bang Neaw Municipality School, Phuket Road. - Kaeng Tin near Ruam Paet Hospital on Phuket Rd. - On Soi Suhn Utit, Yaowarat Rd., in Phuket Town.